The signature project new sewists make in our Beehive Basics class! A small relaxation pillow filled with rice and lavender, it can be heated in a microwave or cooled in the freezer. Use it on boo-boos, sore muscles, tired eyes, and more. 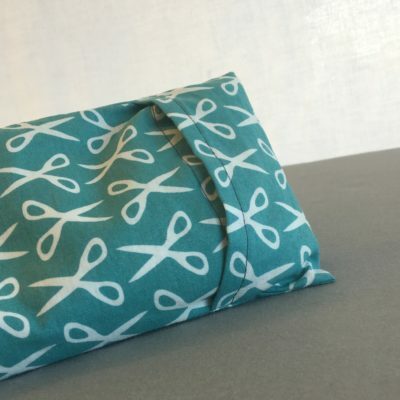 Make it from muslin, then make a removable, washable cover to go with it! Kit comes with pre-cut fabric, rice, and lavender.